Most likely you have seen one of these pixelated squares either in print or on the web and wondered (or maybe not) what it is all about... some random computer-generated 'art'? QR Codes have been popular in Japan since 1994, but is seeing popularity beyond the Land of the Rising Sun only in recent years. 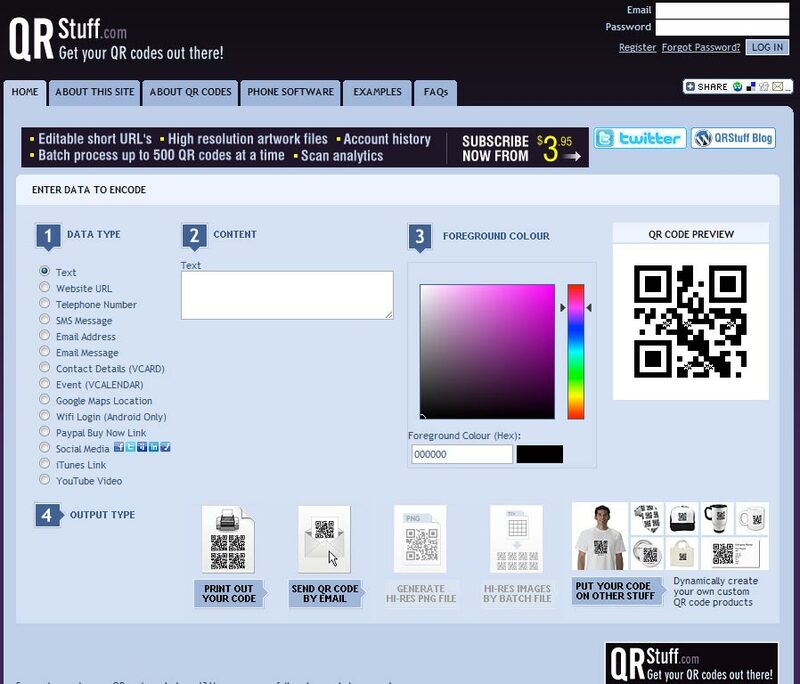 Today, QR Codes have found other applications such as in marketing promotions where scanning a code on a poster or on a product will lead you to a page in the internet to join contests and what-not. They're also quite good as vcards (electronic business cards); you scan the QR code of a person and you are able to store their business information onto your phone / camera-enabled device without having to type all that data in. 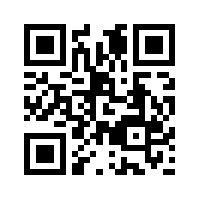 Due to this flexible application, you can now get a QR Code reader for your mobile phone (equipped with a camera), just do a search in your phone's apps store. Just select and type in the information you want, choose the colour (I'd stick to the basic black and white), then select output type. 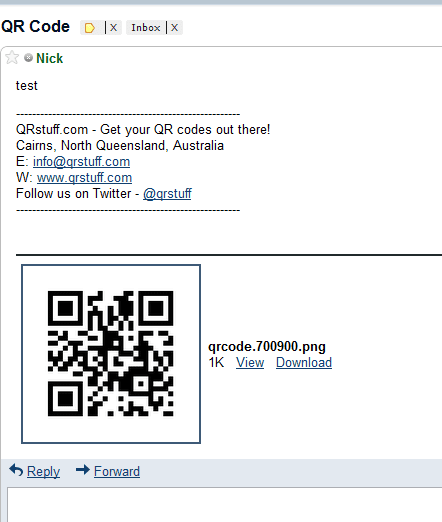 In my case, I chose "Send QR Code by email"
Here's the quirky part. 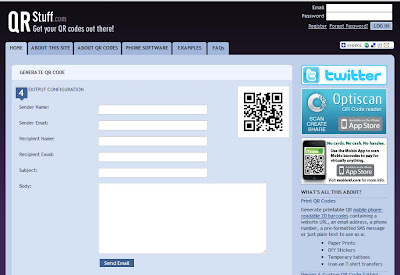 You are presented with an email screen where you input recipient and sender details. Well, I am the sender and the recipient in this case, so it felt wierd emailing myself. Email sent... 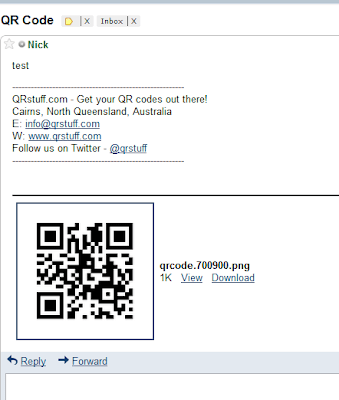 I checked my inbox and voila, a .png file of my QR Code! I've been making complimentary codes "sticks" for local businesses that I've adopted as friends that I want to see the success they deserve through "word of phone" as well as word of mouth. Hi Jim. That's an awesome idea. Had a look at your site as well. Good luck with this innovation.